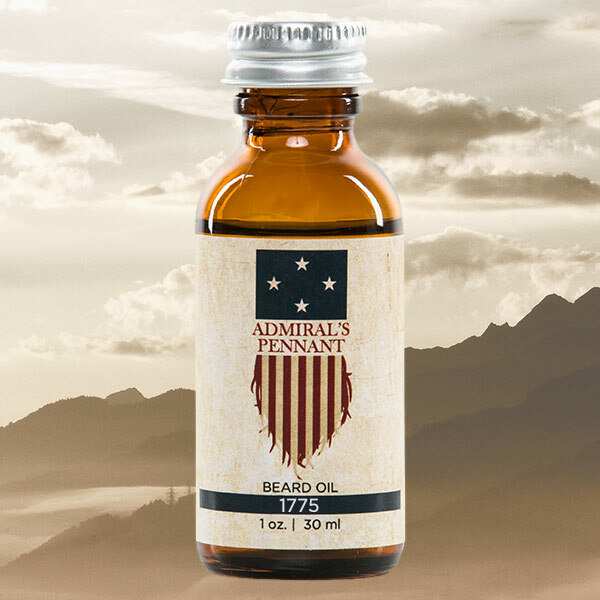 1 oz (30 ml) bottle of the 1775 blend of beard oil from Admiral’s Pennant. Thank you for the review! We appreciate your support! 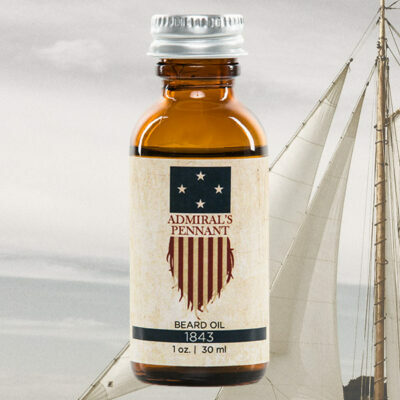 I’ve never used beard oil but after using this outstanding product, I’m sold on it! Not only is the product outstanding, but the customer service is top notch. For as long as the have my “freedom beard”, you have a customer! I sincerely appreciate your comment, and your support. Thank you! I’ve been using beard oils for a couple years now, so when I had a guy at a local gun show pull me aside and show me these oils he was selling I was willing to fork out the 30$ to try something new and I’m glad I did I will be buying more as soon as I use this bottle up great smell and feel. Ordered my first bottle of 1775 on a Friday. It was shipped on Saturday and arrived at my place on Monday. Excellent order fulfillment speed! The order came with a handwritten note from the Admiral himself thanking me for my purchase. Very personal and a top quality response. The product is second to none! You can smell the hints of cinnamon and lavender combined with the other oils, and there’s even some slight musty overtones that let you know you are indeed a man with glorious facial fur. Unashamedly glad that I purchased this product. I look forward to adding more oils from the collection in the future. Thank you for your review! We do very sincerely appreciate your business. We are extremely glad you enjoy our product. Thank you, again. Bought some bottles (1775 and 1815) from some gents at the Portland gun show. Magnificent oil. I had never used any kind of beard oil before, but now I always keep a few on hand. Fantastic smells, great feeling beard, and upstanding company. Would give six stars if I could. Thank you for your feedback! We very sincerely appreciate your business and your support, and thank you for supporting our brothers over at Vigilant Shield! Thank you for the very kind words, we very sincerely appreciate your business. Came back for something a bit different than the 1783…got it in the spicier 1775. Both pass muster with the Mrs. 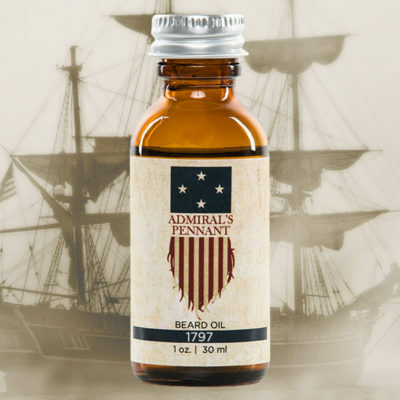 Being restricted to only a mustache for the time being I am still enjoying the Admiral’s Pennant 1775 blend! Smells great, very pleasant without any perfume smell at all. I had tried mustache wax before and it was unpleasant, sticky and didn’t smell good. The response to orders is outstanding! I just ordered the Flagship collection in anticipation of growing out the facial flag in August! 1775 is by far my favorite! Birth year of my beloved Corps and my wife no longer complains about my beard as it smells pretty epic!